Not all pasta is created equally. Well, actually it is, but then it’s processed, stripped of the majority of its nutritional value and has a pound of cream dumped on top it and is then called cuisine. **cough** Olive Garden. Whole wheat pasta has much more vitamins and fiber than its lighter component. Also, it has a much lighter taste and doesn’t give you that heavy gut feeling when you’re done eating. 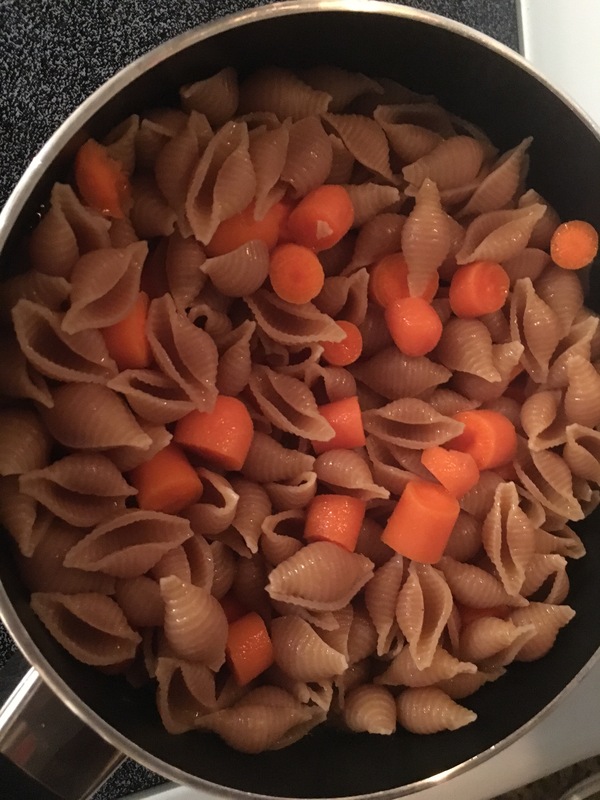 Directions: Boil water, add pasta and sliced carrots. Taste to check if soft. Slice veggies. Cut up raw meat separately. Add garlic, mushrooms and onion to heated pan. Once browned, add meat. 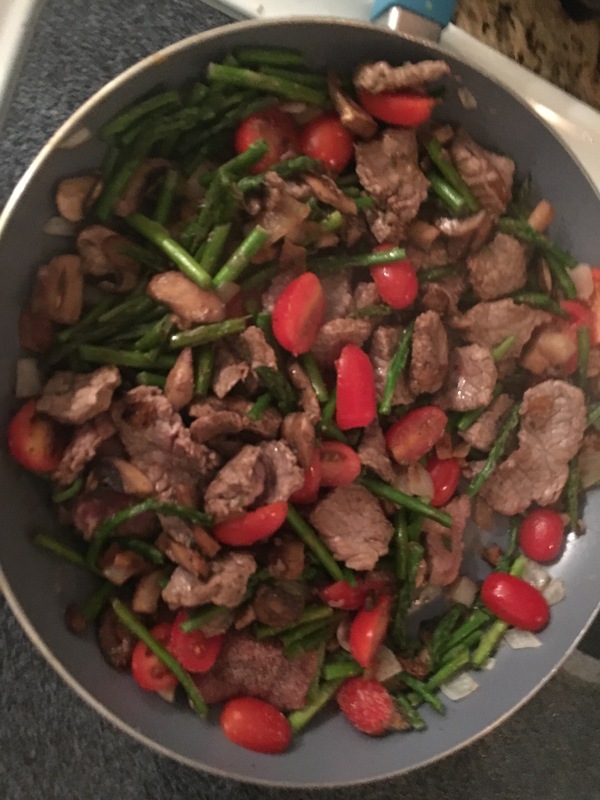 Once sufficiently cooked, add asparagus and tomatoes. Once pasta is in colander and dryer, add garlic powder, salt and pepper. 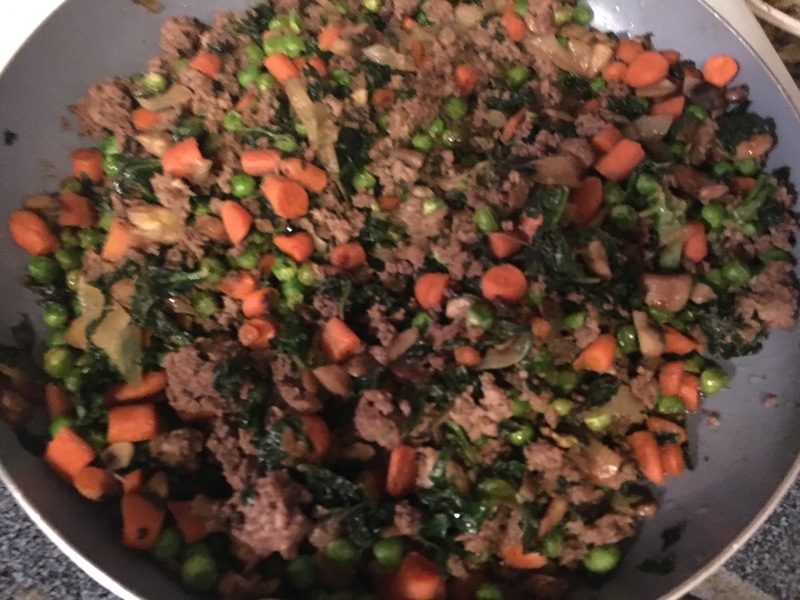 In large bowl, combine pasta, meat, and veggies. 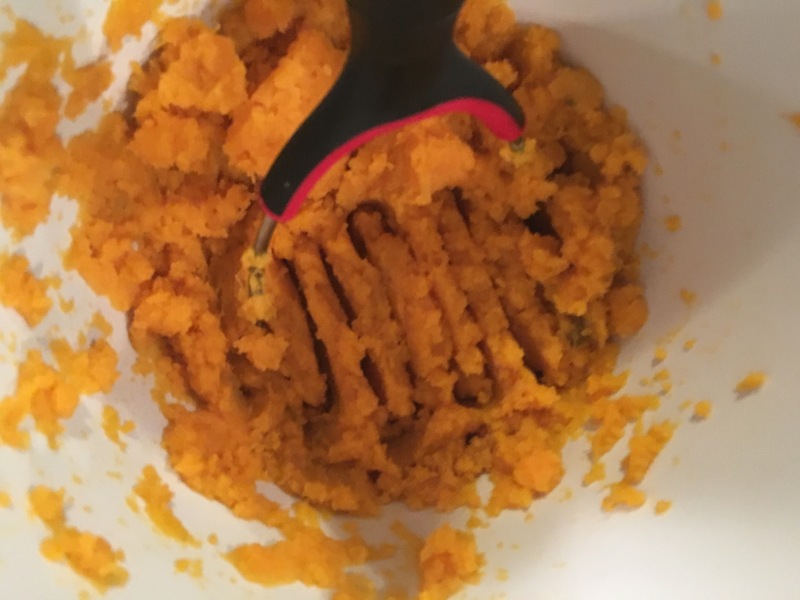 Once mixed together, add about 2 tablespoons of olive oil and mix. Add a bit of Parmesan cheese to taste. 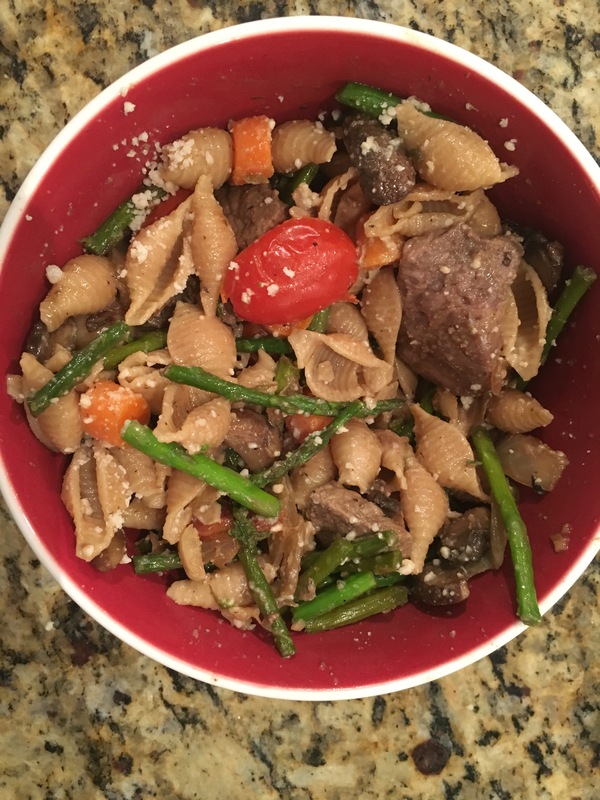 Pasta tends to get a bad reputation for its heavy carb content. But it can be indulged in as long as it’s portion controlled. 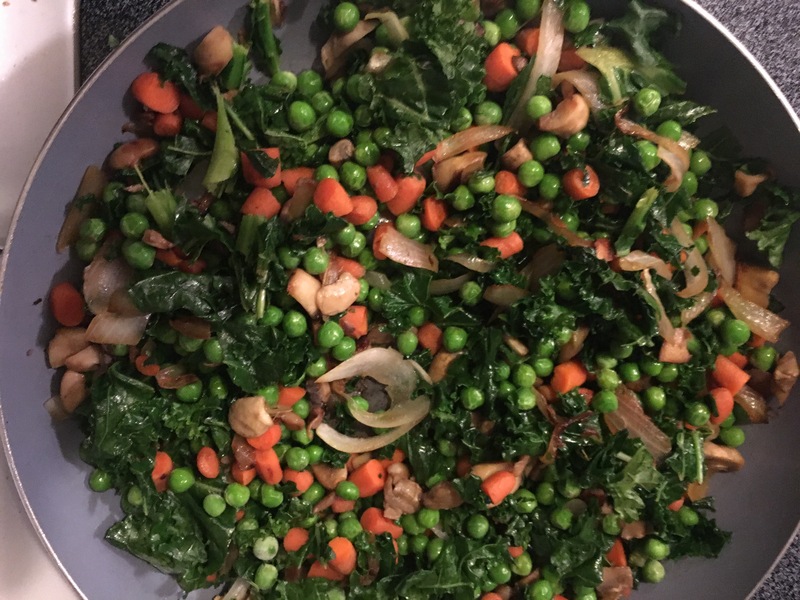 This recipe perfectly shows how to balance out good carbs with plenty of protein and veggies. Sunday is meant to be a day of leisure so don’t let meal prep consume it! There are plenty of meals that cook all together and don’t demand too much time. 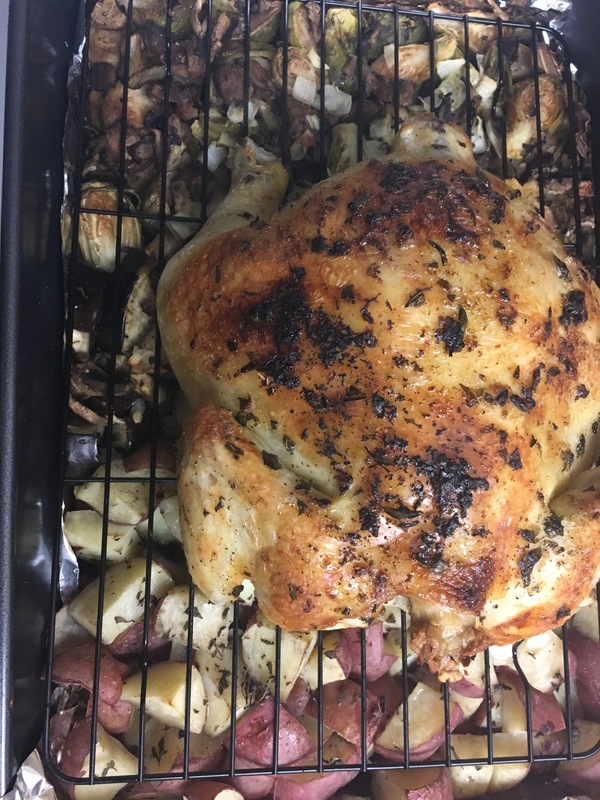 Above is roasted chicken with red potatoes and veggies. 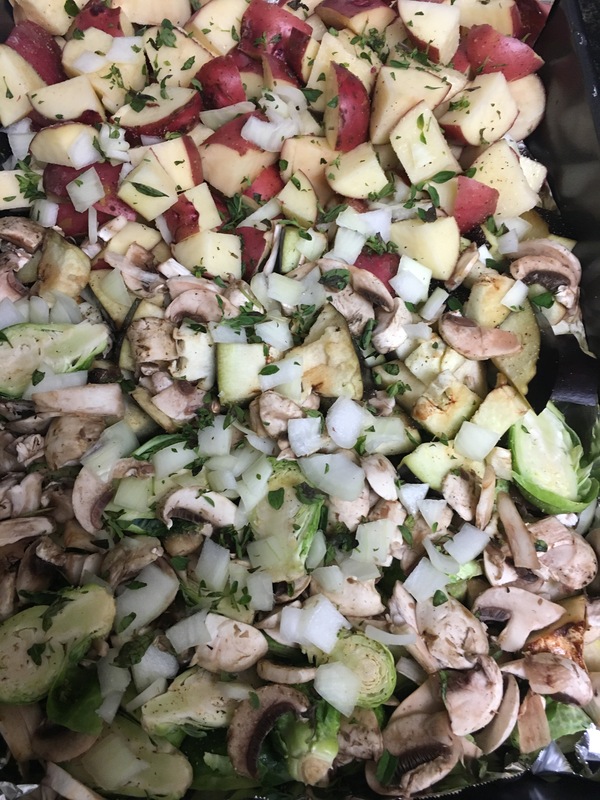 The veggies chosen are Brussels Sprouts and Eggplant with Mushrooms and Onions thrown in. We have selected these because they make great absorbers and there’s a lot of fat (and flavor) to catch! 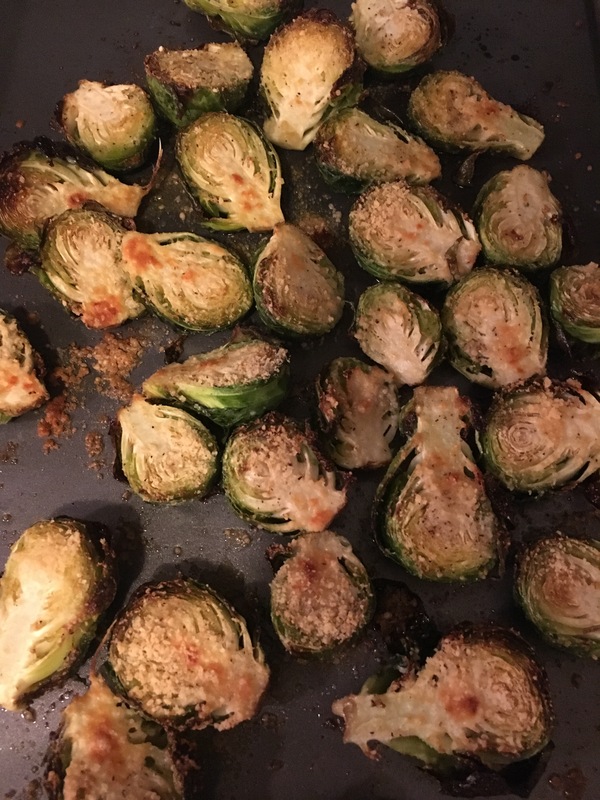 They have been lightly seasoned with a mix of olive oil, lemon juice, and oregano. 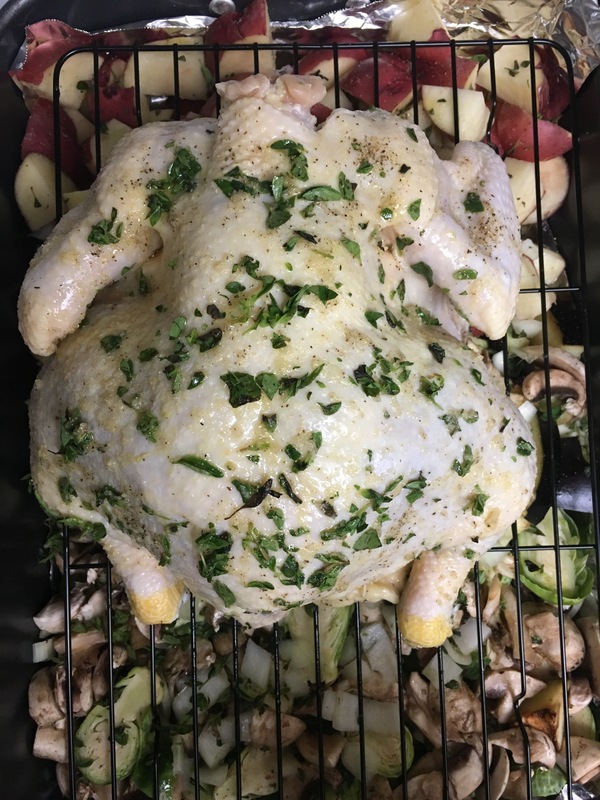 Make sure to throughly clean and then season your bird. We used the same flavor assortment (EVOO+lemon+oregano). Also, position is key to make sure your veggies get maximum drip. The rule of thumb is about 20 minutes per pound (this chick is about 6lbs). 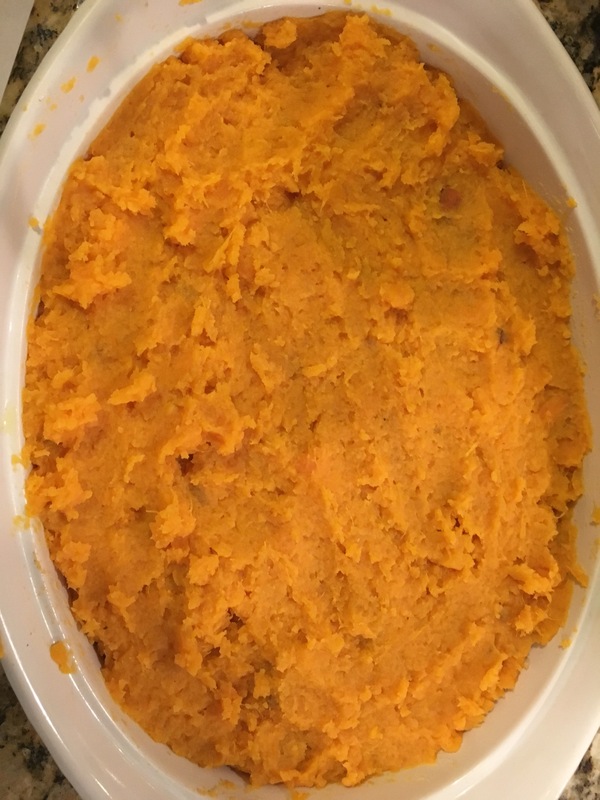 The end result is a delightful aroma, a quick cleanup, and meals for the week. After a while, even the most flavorful dish begins to warrant an audible sigh when the Tupperware lid is peeled off. But, to avoid ending up in the fast food window line around 12:15pm, its important to get creative with what you have. 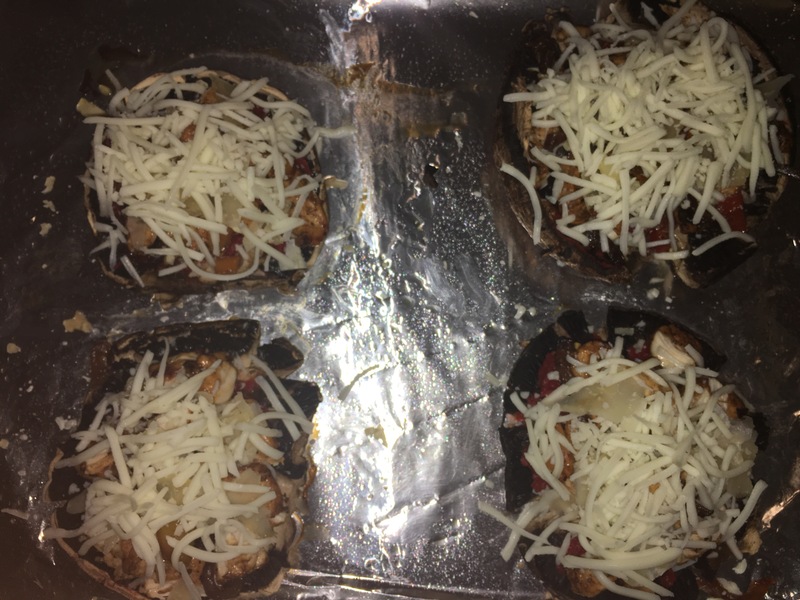 Pictured above are stuffed mushrooms, featuring the leftover Middle Eastern Chicken with some bell peppers, onions, and cheese. Any veggies that you are eager to use before they spoil can essentially be used as a “throw in”. 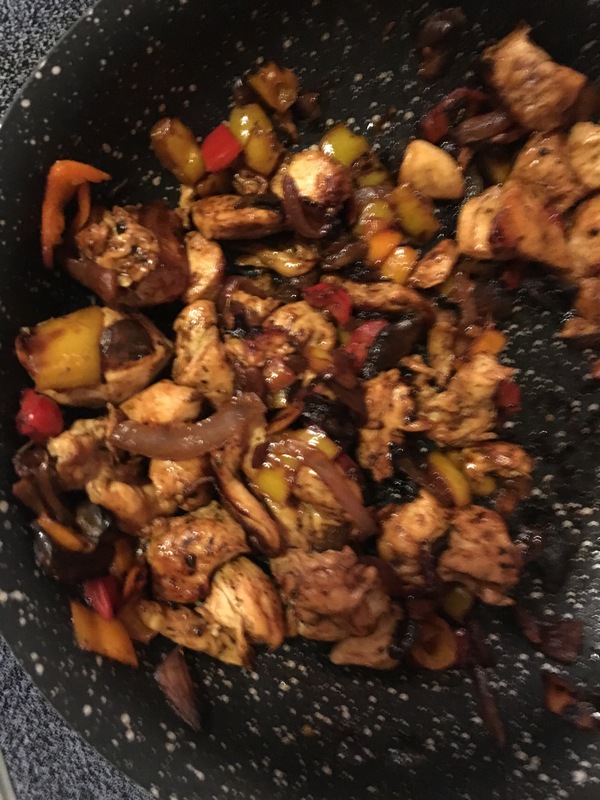 Stuffing- sautee leftover chicken with bell peppers, onion, and the extracted inside of the mushrooms. 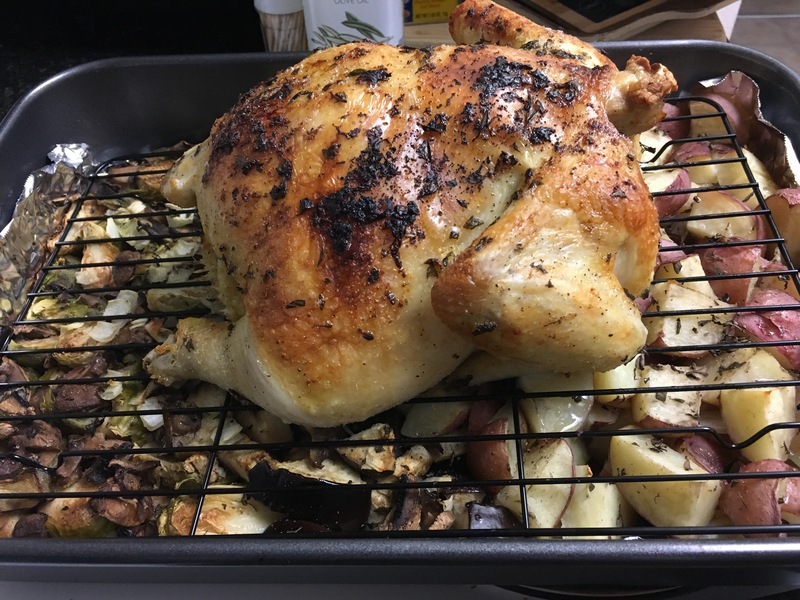 The chicken is already cooked, so only about 5 minutes or so is all it will take. 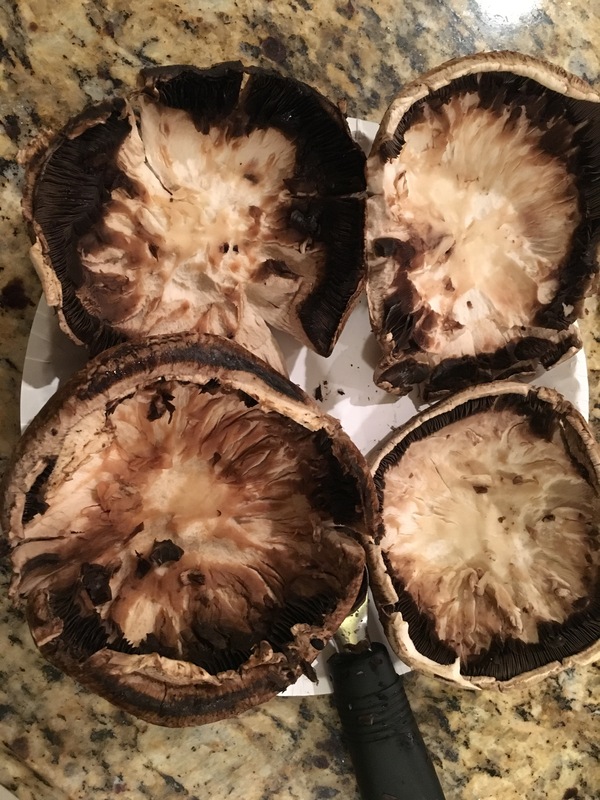 Mushrooms– after removing the stem and inside of the button mushrooms, lightly season with salt, pepper, and a bit of olive oil. Fill inside with cheese and chicken/veggie mix from above. Cook for about 15-20 minutes at 350°. 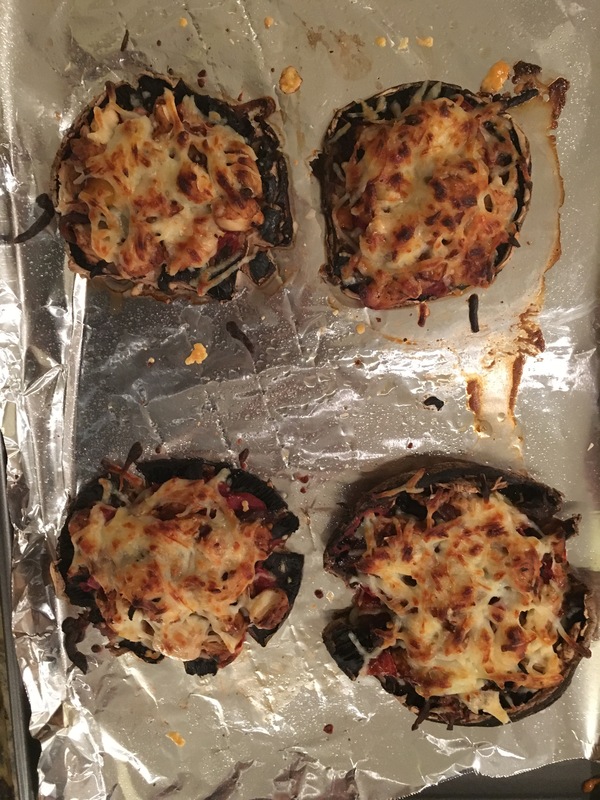 The mushrooms go very well over rice or quinoa, or just by themselves as an appetizer. Enjoy!